Looking for internet and social media statistics in one easy to reference place? Then look no further. We Are Social have produced a comprehensive new report which covers internet, social media and mobile usage statistics from all over the world. It contains more than 350 infographics, including global snapshots, regional overviews, and in-depth profiles of 30 of the world’s largest economies. 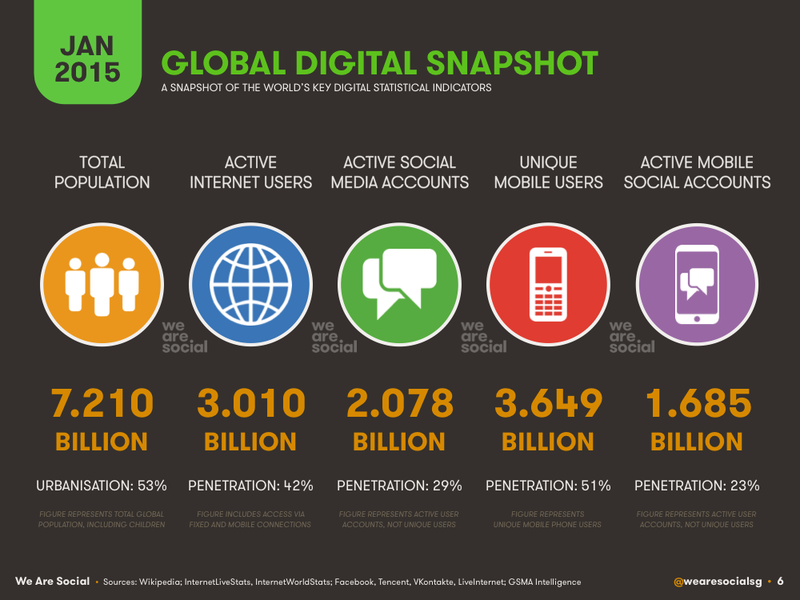 Facebook continues to dominate the global social media landscape, claiming 1.366 billion active users in January 2015. If you’d like to explore individual country data in more detail, you can download the complete report for free by clicking here. Next Post #ReOTD Twitter chat: Can social media support improved patient experience?